Take your wardrobe to a whole new level with these wide leg printed trousers. 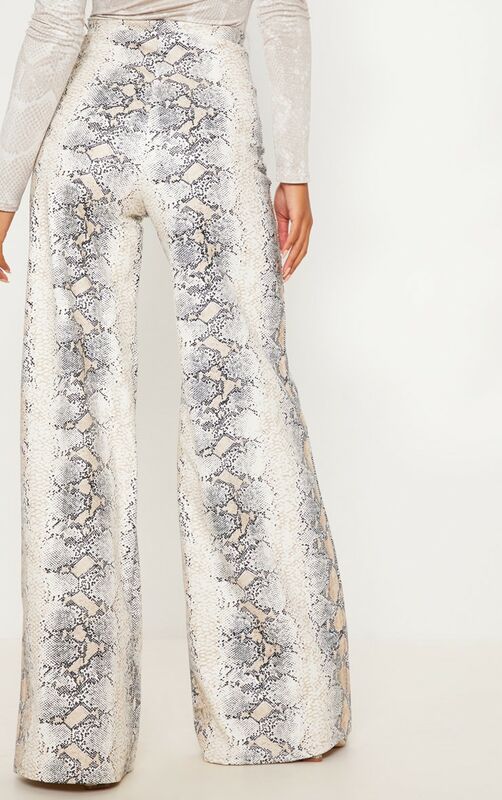 Featuring a snakeskin print faux leather fabric, a high waistline with a wide leg fit. 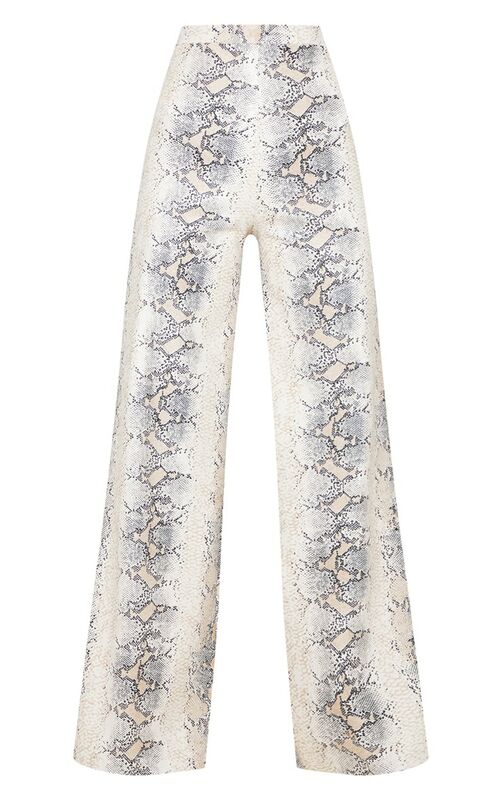 Team them with a snakeskin print bodysuit and heels for a seriously slick look.